2018 marks the ten-year anniversary of Infinity Park Event Center. Ten years of providing Glendale and the greater Denver area with top tier service, exceptional amenities, and unique, vibrant event spaces. While the Event Center celebrates a milestone anniversary, it’s important to remember that celebrations happen here all the time – especially birthday parties, another kind of anniversary we get to celebrate every year. Infinity Park Event Center is perfect for any size or type of birthday party. We’ve hosted parties with hundreds of guests in our International Ballroom, and smaller, more intimate celebrations in the Try Club and Conference Rooms. 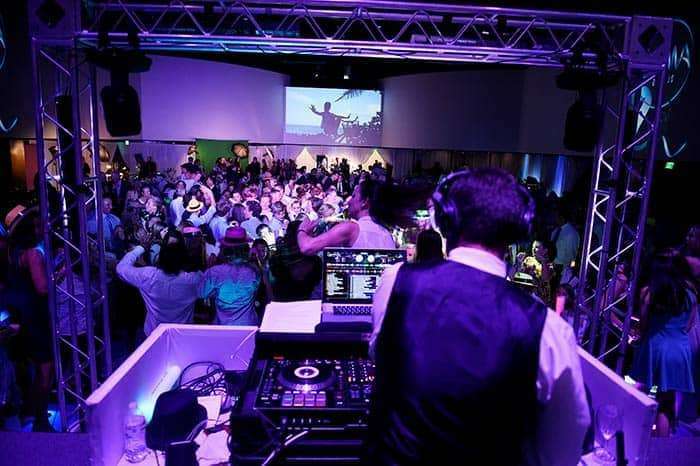 From Bar Mitzvah party space to quinceañeras, private birthday party rooms to Grandma’s 80th – whatever your needs, Infinity Park Event Center is the perfect birthday party event venue. Well suited to address every birthday party need, big or small, Infinity Park Event Center is the venue to make your celebration unforgettable. Each of our event spaces can be tailored to bring your unique vision to life. Additionally, Infinity Park’s exceptional production capabilities can further elevate your event. Alongside talented, passionate planners, the Event Center is home to production professionals with the latest and greatest technology at their fingertips. Spotlight the party with the Event Center’s sophisticated lighting system, or make the dance floor the life of the night with tunes from state-of-the-art audio production. With custom, 360-degree surround screens at your disposal, a birthday video can be broadcast during the celebration, or take a trip down memory lane with a slideshow. However you decide to celebrate, Infinity Park Event Center is the premier birthday party event venue. For more information on booking, or to schedule a tour, visit our contact us page. Celebrate your next birthday at Infinity Park Event Center, and let us build an unforgettable experience together.